Inequality is creating a great divide in our society: in spite of the technological progress, social and economical inequality in the last 2 decades in growing. Many people live in a situation of poor education opportunities, unemployment, lack of healthcare services. If we want to achieve social transformation, we need to create the conditions for a more equal society. In an age of breaking-through technological innovation and automatization, how can the majority of population find the means to sustain and heal themselves? What kind of change in our collective psyche we need to pursue in order to achieve a new paradigm where wealth is shared among citizens in a more wise and compassionate way? How can generosity, as a natural aspect of our nature, be reframed in the 21st century, to address the challenges of inequality? During this presentation I will address these questions. As Einstein said: "We cannot solve our problems with the same thinking we used when we created them". But once we reach a new way of thinking, we need also a "new way of acting". In which ways we can act, in terms of shared responsibility for the ever increasing divide between wealthy people and poor people, is not easy to understand. Nevertheless, eminent thinkers have proposed ideas and approaches but they requires a radical revision of our believe systems. Is Basic Income a possibility for our society? How the new generations will be able to afford the cost of their education? There are many valuable ideas and proposals but most of the obstacles are on a moral and ethical level: we perceive ourselves as separate from the others, we believe we own what we have and we think that everybody has to "deserve" in order to receive. Transpersonal psychology can play an important role in healing and shifting our collective psyche, helping us to envision and co-create a future beyond materialism, based on compassion, generosity and simplicity. Jonas Di Gregorio graduated in Philosophy at La Sapienza University, Rome, studying world religions, philosophy of science, theology and ethics. He wrote a thesis entitled: "The Perennial Philosophy". In 2015 he founded the Cognitive Freedom Alliance, a no-profit organization envisioning a post-prohibition world where psychedelics are safely integrated in our culture. 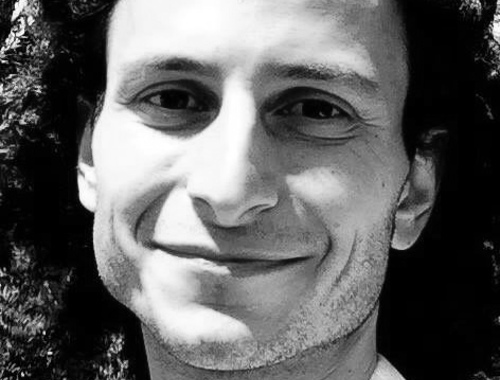 He works in Italy as director and lecturer with the Cognitive Freedom Alliance and as facilitator and musician, in collaboration with olotropic breathwork pratictioners and with psycho-therapists leading amazonian plant medicine retreats.